For some time before March 13, 1881, Gen. Count Loris Melikoff, the officer responsible for the safety of Czar Alexander II., had received disquieting reports which gave him the greatest anxietv. On the ioth of the month Jelaboff, the ringleader of the conspiracy, was arrested by accident, and the direction of the attempt on the Czar's life was accordingly left to Sophie Perowskaia, a young, pretty and highly educated noblewoman, who had left everything to join the Nihilists. It is said that on the morningr of the 13th Melikoff begged the Czar to forego his purpose of reviewing the Marine Corps, and keep within the palace. The Emperor laughed at him, and declared there was no danger. There was no incident until after the review. 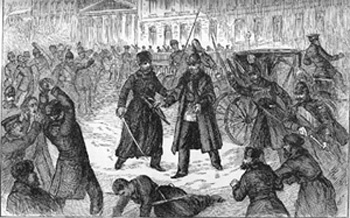 As the Emperor drove back beside the Ekaterinofsky Canal, just opposite the imperial stables, a young woman on the other side of the canal fluttered a handkerchief, and immediately a man started out from the crowd that was watching the passing of the Czar, and threw a bomb under the closed carriage. There was a roaring explosion, a cloud of smoke. The rear of the vehicle was blown away, and the horror-stricken multitude saw the Czar standing unhurt, staring about him. On the ground were several members of the Life Guard, groaning and writhing in pain. The assassin had pulled out a revolver to complete his work, but he was at once mobbed by the people. Col. Dvorjitsky and Captains Kock and Kulebiekan, of the guards, rushed up to their master and asked him if he was hurt. "Thank God! no," said the Czar. "Come, let us look after the wounded." And he started toward one of the Cossacks. "I am cold, my friend, so cold, -take me to the Winter Palace to die." The desperate Nihilist bad thrown his bomb right between the Czar's feet, and had sacrificed his own life to kill the Emperor. Alexander was shockingly mutilated. Both of his legs were broken, and the lower part of his body was frightfully torn and niangled. The assassin - his name was Nicholas Elnikoff, of Wilna - was even more badly hurt. He died at once. 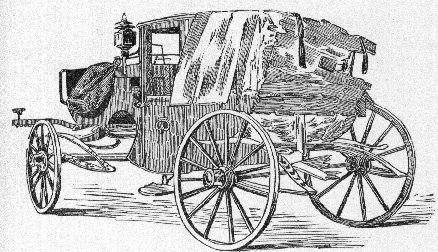 The Czar was taken into an open sled, and although it was claimed he received the last sacrament at the Winter Palace, most of those who know believe that he died on the way there. In the meantime the police, with the utmost difficulty, rescued the first bomb-thrower from the maddened mob. The man, whose name proved to be Risakoff, coolly thanked the officers for preserving him, and then tried to swallow some poison which he had ready. In this he was foiled, and he was taken to prison. 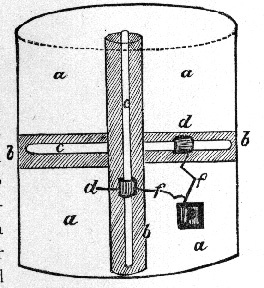 The infernal machine used by Elnikoff was about 7 1/2, inches in height, and its construction is exemplified in the annexed diagram. Metal tubes (bb) fil"9d with chlorate of potash, and enclosing glass tubes (cc) filled with sulphuric acid (commonly called oil of vitriol), intersect the cylinder. 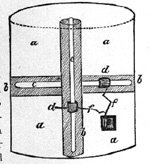 Around the glass tubes are rings of iron (dd) closely attached as weights. The construction is such that, no matter how the bomb falls, one of the glass tubes is sure to break. 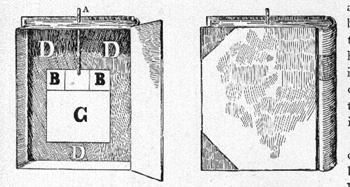 The chlorate of potash in that case, combining with the sulphuric acid, ignites at once, and the flames communicate over the fuse (ff) with the piston (c), filled with fulminate of silver. The concussion thus caused explodes the dynamite or "black jelly" (a) with which the cylinder is closely packed. I said above that Jelaboff, the real leader of the conspiracy, had been arrested on the ioth. He was merely a suspect, and it was some time before the police realized what an important arrest had been made. Only two hours before the murder of the Emperor, Jelaboff's house was searched, and there was found a great quantity of black dynamite, India rubber tubes, fuses and other articles. Jelaboff had been living here with a woman who was called Lidia Voinoff. This Lidia Voinoff was arrested on the Newsky Prospect, on March 22nd, and almost immediately identified as Sophia Perowskaja, the young woman who had ,riven the handkerchief signal to the bomb-throwers, and who was wanted besides for the Moscow railwav mine case. On the prisoner were found papers which led to the search of a house on Telejewskaia Street, where a irian named Sablin committed suicide immediately on the appearance of the police, and a woman named Hessy Helfmann was arrested. A regular Nihilist arsenal of black jelly, fuses, maps of different districts of St. Petersburg, with the Czar's usual routes marked upon them, copies of papers from the secret press, etc., were found. While the police were still engaged in the search of the premises Timothy Mikhaeloff came in by accident. He was taken, and on him was found a copy of the new Czar's proclamation, and penciled on the back were the names of three shops with three different hours in the afternoon. The officers descended on these places and gathered in customers, shop-keepers and everybody else about the place, - a process which brought in Kibaltchik, the Nihilist chemist and bomb-maker. The evidence was soon got in shape, and early in April the trial began. It was shown that Jelaboff was agent in the third degree of the Revolutionary Executive Committee - that he had issued the call for volunteers for the killing of the Czar, and that forty-seven persons had offered themselves, out of whom Risakoff, Mikhaeloff, Hessy Helfmann, Kibaltchik, Sophia Perowskaja and thilkoff had been accepted. Elnikoff was dead, but the others, with Jelaboff, were put in the dock. They all confessed except Hessy Helfmann, and upon April iith all were condemned to death, with the proviso needed under the Russian law that the sentence of Sophia Perowskaja should be approved by the Czar, as she was a member of the class of nobles, and a noble may not be put to death without the Emperor's concurrence. The Czar concurred, and on April 15th, at 9 a. in., all the prisoners save Hessy Helfmann were hung. This woman was reprieved because she was about to become a mother. The execution was a most brutal one. it took place on a plain two miles out of the city, in the presence of a hundred thousand people. The prisoners were taken out of the fortress on two-wheeled carts, surrounded by drummers and pipers, who played continuously and loudly, so that nothing the condemned might say could be heard by the crowd. At the scaffold the drummers were stationed in a hollow square around the gallows, and a deafening tattoo was kept up from the time the prisoners were brought in until their bodies were cut down. The hanging was very cruel. Each person was mounted on a small box, after kissing each other passionately all round. They said something, but it could not be heard for the drumming. The executioner was said to be evidently drunk. There was no drop. When the signal was given the condemned were pushed off their boxes and left to strangle. 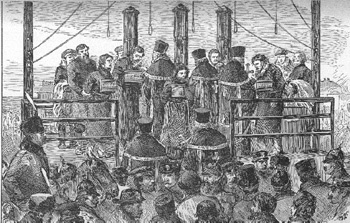 Mikhaeloff's rope broke twice, and the attendants held him up while the excecutioner tied a new cord around his neck and over the beam. The bodies were buried privately. The present Czar has had several narrow escapes, none of them more nearly fatal than the conspiracy of the book-bomb in March last. On the 13th of March, 1888, the anniversary of his father's terrible death, the Czar made the usual visit to the Cathedral of St. Peter and Paul, where the body of Alexander 11. is buried. For some time before the ceremony St. Petersburg was full of rumors that a catastrophe was impending, and, although the police took the most careful precautions, the Czar himself paid no attention to the warning- of the "Third Section," and would permit no alteration in the preparations for the requiem. In Christmas week of 1887, the Russian agents at Geneva, in Switzerland, reported the presence in that city of two revolutionary agents who ,seemed to have the closest relations with the committee of the discontents in London and Paris. They were shadowed for a time, but lost. In February they reappeared in Berlin. They were known to be in communication with the St. Petersburg Nihilists. Before facts enough had accumulated to justify their arrest they disappeared once more and were believed to have gone to the Russian capital. The facts were reported to the Czar, but he laughed at Chief Gresser of the capital police. THE NIHILISTS IN THE DOCK. i. Risakoff. 2. Mikhaeloff. 3. Hessy Helfmann. 4. Kibaltchik. 5. Sophia Peroffskaja. 6. Jelaboff. In solemnizing the requiem of the late Czar a public progress was made to the Cathedral, amid a dense throng of citizens, among whom were all the detectives that Chief Gresser could get together. In a small caf6 in one of the side streets of the Morokaya two of the detectives ran across a couple of uniformed university students -in Russia the students have a peculiar costume-who were acting suspiciously. They were conversing in a most excited manner with a man dressed as a peasant. The trio were watched. At the caf6 door they separated, but all three made by different routes for the Newsky Prospect, the chief drive of the capital and the one along which the Czar was to return. The peasant was lost by the detectives, but the other two were kept in sight, and the suspicions of the police were made all the more keen by the fact that the young men passed each other in the crowd several times with an elaborate appearance of not knowing each other. One of them had a law-book in his hand; the other had a travelingbag over his shoulder. A few moments before the Czar was to pass on his return from the Cathedral the students came together and whispered, and the two were immediately and quietly arrested. Their names were given as Andreleff sky and Petroff, university students, and this was proven to be the truth. A thrilling discovery was made, however, at once. 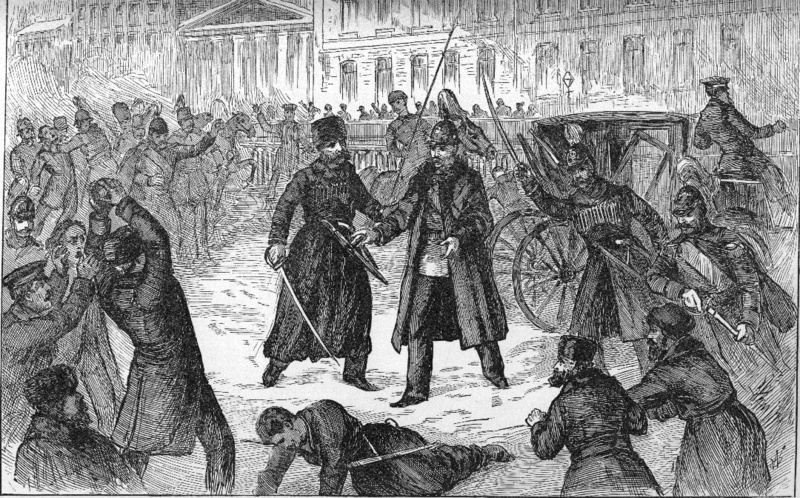 The innocent-looking law-book was really a most dangerous infernal machine-sufficiently powerful not alone to kill everybody in the Czar's carriage, but many in the crowd, and perhaps to have blown down some of the neighboring houses. The traveling-sack was full of dynamite bombs of the ordinary spherical pattern. A. Glass Tube. B. Fulminate. C. Bullets. D. Dynamite. I reproduce here a diagram of the bookbomb from the excellent account of the attempted assassination given by the New York World a few days after it ocurred. The outside was made of wood and pasteboard, so artistically that only the closest inspection would discover the fact that the machine was not really a book. In the center of the interior, in the place marked C, were a number of hollow bullets filled with strychnine, which poison was also plastered upon the outside of the missiles. Above this were small compartments filled with fulminate, with a glass tube of sulphuric acid. To the tube was tied a string, which would break it when thrown, spilling it into the fulminate and thus exploding the dynamite with which the whole of the hollow parts of the interior was densely packed. Fully a hundred people must have been killed had the bomb been exploded as intended. The expert who examined the bomb, after handling the bullets carelessly put Ills finger in his mouth, and was seriously, though not fatally, poisoned. Hardly lidd the arrest been made when the Czar was notified at the Cathedral. He ordered that the news should be withheld from the Empress, although he was himself visibly affected. He sprang into his sleigh with the Czarowitz, and drove by an unused route to the railway station. The Czarina followed shortly after in a carriage, greatly agitated by a presentiment of evil. Not until the train had started was she informed of the occurrence. She burst into tears, and was inconsolable for the rest of the journey. Once safe in his Gatschina Palace, the Czar is said to have given vent to his feelings in the strongest language, heaping anatheinas upon the heads of the, Nihilists, and threatening dire revenge. Less than two hours after the arrest of Andreleff sky and Petroff their companion peasant fell into the hands of the police. His name was Gene-'A' raloff, a native of Jaroslav, South Russia. He had been actively engaged in the Nihilist propaganda for some time past. He also carried bombs on his person. These arrests were supplemented by numerous others. The lodgings of the prisoners in the suburbs of St. Petersburg known as the Peski (the Sands) were searched, and other explosives as welt as documents incriminating other persons were found. As a result the procession of prisoners to the Peter and Paul's Fortress for a time was almost unremitting, and no one felt safe against police intrusion. 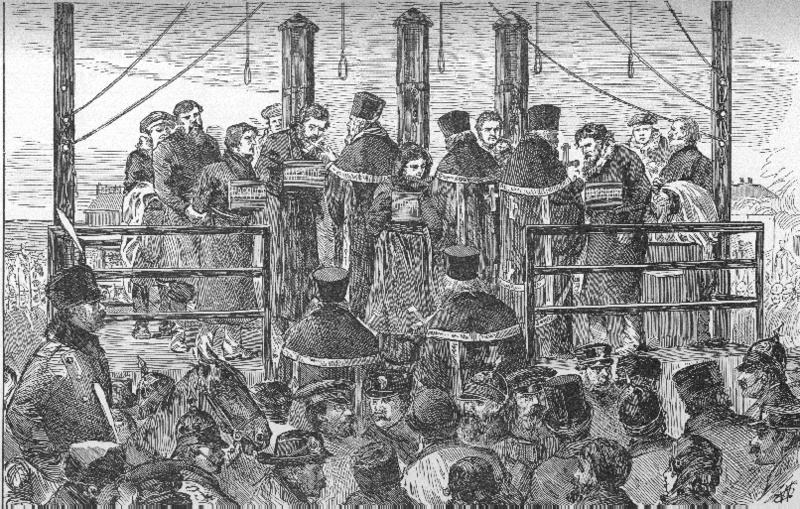 All three of the prisoners were subsequently executed. England shortly afterward became the mark for the next development. of the dynamite war. It is the fact that shortly after the assassination of"', the Czar an attack on the British Government was begun. Prior to this there had been two outrages in 1881 -one an attempt to, blow up the barracks at Salford with dynamite, the other a gunpowder, explosion at the Mansion House, London. 1881: 16 May. Attempt to blow up the police barracks at Liverpool with gunpowder in, iron piping. Damage to the building was inconsiderable, and no one hurt. 10 June. Attempt to blow up the Town Hall, Liverpool, by an infernal machine probably filled with dynamite. A great number of windows broken, and some iron railing destroyed, but no one injured. The two perpetrators captured. 14 June. A piece of iron piping filled with gunpowder exploded against the police, station at Loanhead, near Edinburgh. Some windows broken, but no other damage effected. 30 June. An importation of six infernal machines at Liverpool from America in "Malta," concealed in barrels of cement. They contained lignin dynamite, with a cl work arrangement for firing it. 2 July. An importation of four similar machines at Liverpool in the "Bavaria." Seplember. An attempt to produce an explosion at the barracks, Castlebar. A can containing gunpowder was thrown over the wall, close to the magazine. The lighted which was attached fell out, and no harm was done. 1882: 26 March. An attempt to blow up Weston House, Galway, with dynamite in iron pot enclosed in a sack. 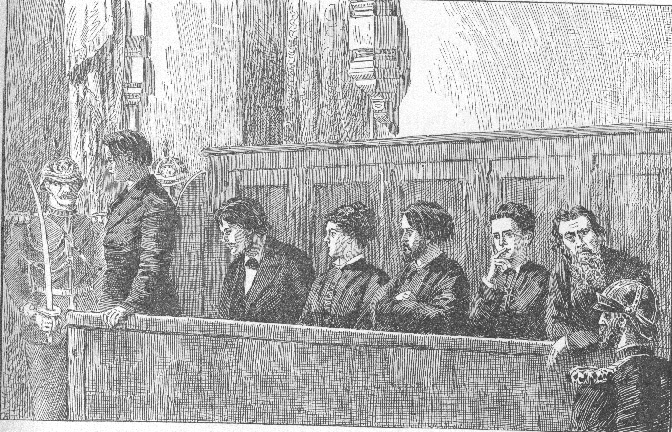 Five persons were afterwards convicted of the outrage. 27 March, A 6-inch shell charged with explosive thrown into a house in Letterken The explosion caused considerable damage. 2 April. An attempt to destroy a police barrack in Limerick by firing some dynamite on the window sill. 12 May. A discovery of a parcel containing 12 lbs. to 20 lbs of gunpowder, with lighted touch-paper or fuse attached at the Mansion House London. 1883: 21 January, An explosion of lignin dynamite at Possil Bridge, Glasgow. Two or three persons passing sustained slight injury. 21 January. An explosion of lignin dynamite at Buchanan Street Station, Glasgow, in a disused goods shed. 15 March. An explo-don at the Local Government Board Office, Whitehall, causing considerable local damage. 15 March. An abortive explosion of lignin dynamite outside a window at the Times office. April. Two infernal machines, containing 28 lbs. of lignin dynamite (probably homemade), discovered at Liverpool. Four persons were convicted and sentenced to penal servitude for life. April. The discovery of a factory of nitro-glycerine at Birmingham, and of a large amount of nitro-glycerine brought thence to London. The occupier of the house and others -were subsequently convicted and sentenced to penal servitude for life. 30 October. An explosion in the Metropolitian Railway, between Charing Cross and Westminster, unattended with personal or serious structural injury. 30 October. An explosion on the Metropolitan Railway, near Praed Street. Three carriages sustained serious injury, and about sixty-two persons were cut by the broken glass and debris, and otherwise injured. November. Two infernal machines discovered in a house in Westminster, occupied by a German named Woolf. 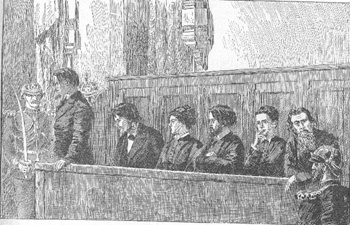 Two men were tried, and in the result the jury disagreed and a nolle trosequi was entered on behalf of the Crown. 1884 January. The discovery of some slabs of Atlas Powder A (American make), in Primose Hill tunnel. February. 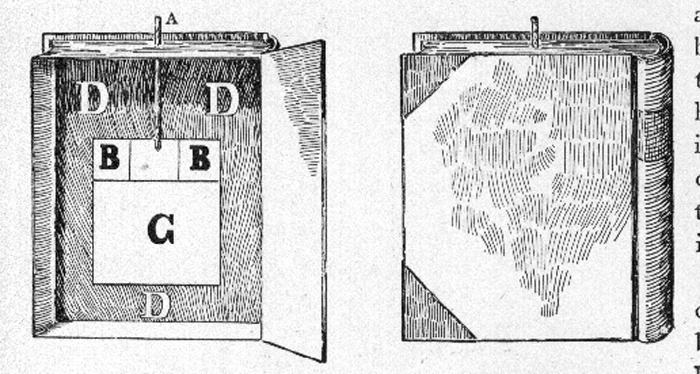 An explosion in the cloak-room of the London, Brighton, and South Cc Lst Railway at Victoria Station of Atlas Powder A (American make), left in a bag or potmanteau. 27 February. The discovery of a bag containing some Atlas Powder A, with clockwork and detonators, at Charing Cross Station. 28 February. A similar discovery at Paddington Station. 1 March. A similar discovery at Ludgate Hill Station. April. A discovery of three metal bombs, containing dynamite (probably America t make), at Birkenhead, in possession of a man named Daly, who was afterwards sentenced t(, penal servitude for life. 30 May An explosion of dynamite at the junior Carlton Club, St. James' Square. About fourteen persons were injured. 30 May. An explosion of dynamite at the residence of Sir Watkin Williams Wynn, St. James' Square. 30 May. An explosion of dynamite in a urinal under a room occupied by some of the detective staff in Scotland Yard, It brought down a portion of the building, besides severely injuring a policeman and some persons who were at an adjacent public-house. 30 May. A discovery of Atlas Powder A, with fuse and detonators, in Trafalgar Square. 28 November. An attempted destruction of a house at Edenburn, near Tralce, occupied by Mr. Hussey. The injury, which was doubtless accomplished with dynamite, was less serious than was intended, and no one sustained bodily harm. 12 December. An explosion of a charge of dynamite or other nitro-compound under London Bridge, fortunately doing very littte damage. 1885: 2 January. An explosion in the Gower Street tunnel of the Metropolitan Railway, caused by about two pounds of some nitro-compound fired apparently by a percussion fuse. Damage inconsiderable. 24 January. An explosion in the Tower of London, caused, beyond all reasonable doubt, by about five to eight pounds of Atlas Powder A (American make). Three or four ersons were slightly injured, and considerable damage was done to the Armory. 24 January. An explosion of Atlas Powder A (American make), in Westminster Hall. Three persons were injured severely, and others slightly, and very considerable damage was done to the Hall and surroundings. 24 January. An explosion in the House of Commons (probably caused by a simil amount of the same explosive). No persons were injured, but very considerable damage w:1r, done to the Houses of Parliament. February. A discovery of dynamite (of American make) in a house in Harrow Road, Paddington. 9 March. A discovery of Atlas Powder A in the roof of a saw-mill at Bootle. As a result of these various conspiracies and political outrages, twentynine persons were convicted. Some of the bombs used in the London explosions were very ingeniously made. Usually they had a clock-work arrangement which released a haminer and exploded the infernal machine at the time set. Others again had a time fuse depending upon the percolation of acid through parchment. In every case, however, the destruction wrought by the explosives was ridiculotisly disappointing to the conspirators, and in England as elsewhere the event proved that high explosives are a delusion and a snare from the revolutionist's point of view. They are greatly more dangerous to the persons who employ them than to the people or the property against which they may be aimed.